As craft beer gets bigger, it's also finding at its center people who simply love beer. Sometimes, though, that love can lead to obsession, creating special groups of fans on the fringes who sometimes seem to speak another language. And sometimes, they live in the cellar. Cellarers come in a wide variety, but they all take the concept of underground beer to literal levels, buying beer by the cases and bringing them down to the basement like Buffalo Bill did to Catherine Martin. Beer is a fickle thing. Flavors change with time. What was once a hoppy beer could become undrinkable. What was once a coffee-forward stout could mellow dramatically. But sometimes, a beer transforms beautifully, and that's where the cellar comes in. Beer, like wine, changes over time. 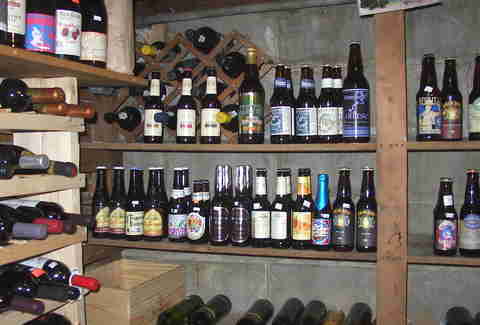 With cellaring, the beers are served after many months -- even years -- in the basement. This allows their flavors and bodies to change, often dramatically. Beer, you see, is a fickle thing. So is your experience with it. Every variable around the tasting changes. What we eat that day, the temperature of the beer, the weather, and even our temperament affect our experiences. Maybe your boss was a d-bag one day, and it made the beer you had later taste extra delicious. That’s unlikely to happen again, though maybe not... your boss could be a real ball-buster. If that’s the case, stop reading about beer and get to work. 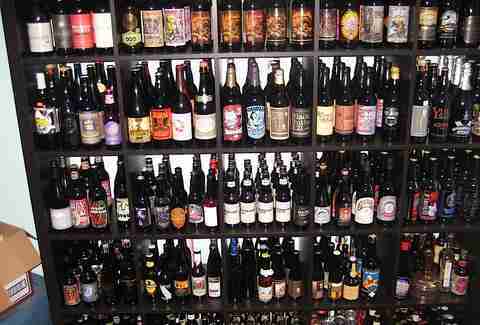 People’s reasons for cellaring beers vary (I myself have a small collection). But aside from brewers who age their creations, most of them fall into one of three distinct categories of drinkers... They all hang out in dark, dank basements, possibly listening to “Goodbye Horses”. But they’re all slightly different. Here are their dossiers. This is the guy who’ll go to special beer releases and get the maximum allotment of bottles. They’ll even pay someone else -- and don’t think strangers are exempt from being asked -- to get another full allotment of beers. In the cut-throat world of craft beer, why share?! The beers head to the cellar and get their pictures taken more than Kanye at LAX. The good news is, if you know a Hoarder, his beers are available to you, so long as you’re willing to trade one of your children and a couple cases of something super fresh... which will inevitably go to the cellar/photo studio. Circle of life. 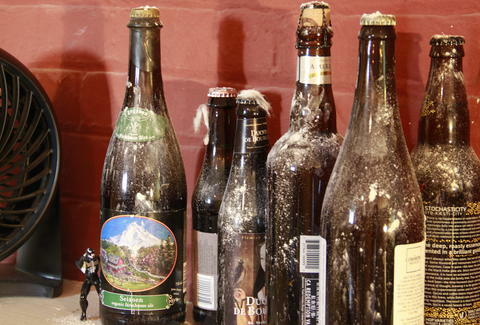 The Hoarder is a public entity in the beer world, willing to travel far and wide, and spend a bunch of money; The Hoarder is someone who is always there to one-up us all when we tell stories of our own drinking; He posts the most pictures. In his eyes, he’s the expert... even at the brewery. Craft beer is his kingdom and we’re all just begging for a 2oz taster of his bounty. You just have to be willing to endure this a-hole for the evening. The Aficionado does his cellaring right. The temperatures are exact, and the bottles are stored properly. 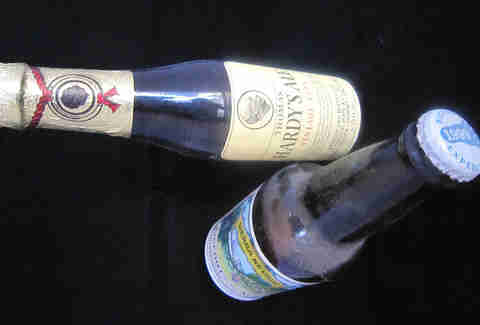 The right bottles are set aside and drunk at the appropriate stages of aging. These aren’t bad qualities to have. In fact, this person is a great beer friend, because the bottles brought to parties are going to be fantastic. But man, is this guy a slave to his cellar. When a brewer tells us to drink one beer fresh and the other one after a year, it’s a fine palate -- and a great memory -- that can remark on the differences between the drinks. I can’t tell you what the beer I had Saturday night tasted like, never mind the characteristics of a stout that I had last winter. The Aficionado can... because he has it all written down in a Moleskine that he brings to every tasting he attends. If somebody refers to a notebook for the characteristics of a beer, they might not be the best drinking buddy. This person is the most likeable cellarer. He or she believes that beer is meant for sharing and enjoying in the company of good people. Conventional wisdom suggests we spend our money on experiences rather than things. Buying expensive or rare beer -- something that indeed seems irrational given that last sentence -- may be the exception because it covers both ends. It’s a perishable item that will eventually be consumed... but, done right, craft beer can be an experience in the best sense of the word. These are experiences that should be shared with other people. What’s the point of drinking Trappist Westvleteren 12, considered one of the finest beers on the planet, if you can’t look at another person and say, “Holy sh*t that’s good”? If a world-class beer is consumed in the woods alone while taking notes, is that world-class beer really consumed? I’d say no, unless you’re one of those hipsters who “checks-in” your beers on your phone. In which case, well, have fun in the basement. The OC is driven by these communal experiences. The beer that resides within this person’s cellar is set aside for out-of-town friends, for enjoying with their brother on the day of his child’s birth, for splitting with their wife on a sub-zero night in January. Yes, just drinking the beer can be “the occasion”. Matt Osgood is a writer in Massachusetts. He writes about sports and booze, mostly, and his writing has appeared in various print and online publications, including Vice Sports, The Classical, and BeerAdvocate. Follow him to his cellar on a special occasion at @matthewmosgood.